THE BAND WILL RELEASE NEW SINGLE ‘CUT ME AND I’LL BLEED’ ON MARCH 2nd. 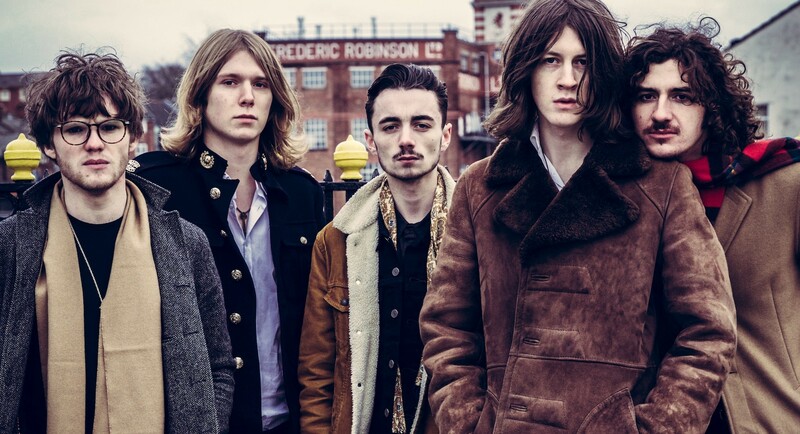 Psyche-pop riffs, vocal melodies, a film noir meets 60s aesthetic, a range of audible references from Arctic Monkeys via Abba to The Doors – Blossoms are Stockport’s newest (and arguably finest) musical export. Blossoms have announced a huge UK headline tour that begins at the end of January, and runs through the whole of February and March, ending with dates at London’s Camden Barfly and Manchester Gorilla. Tickets for the tour go on sale at 9am on Wednesday 17th December. Blossoms will release their psych-pop infused new single ‘Cut Me And I’ll Bleed’ on March 2nd through Skeleton Key Records. The track was produced by The Coral’s James Skelly at Parr St Studios in Liverpool and comes with a live version of ‘The Urge’ on B-side. The single will be available on download and a limited edition 7” vinyl. All five band members; Tom Ogden (Vocals/Guitar), Charlie Salt (Bass), Josh Dewhurst (Guitar), Joe Donovan (Drums) & Myles Kellock (Keys) live in Stockport and all played in several different local bands until, in their words, they “formed a, sort of, Stockport supergroup”.